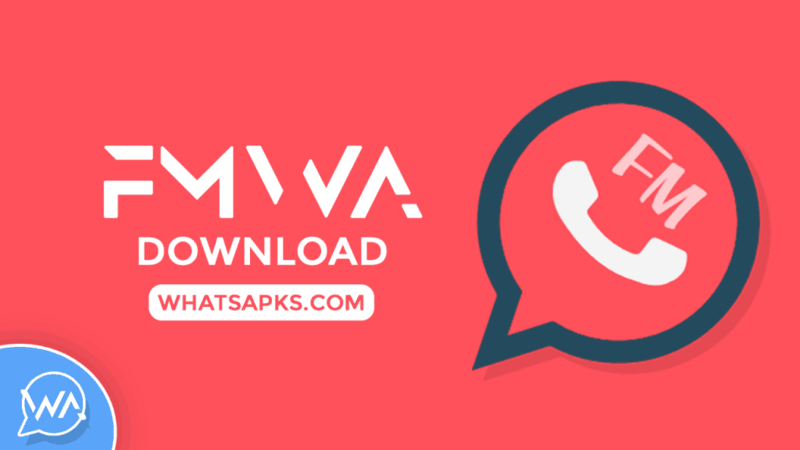 The best Official way to download FMWhatsApp APK on your android device. Here, we are providing free direct download links for the latest WhatsApp Mods without including any kind of virus or hidden code or something. The latest version brings you awesome mods which are insanely cool. 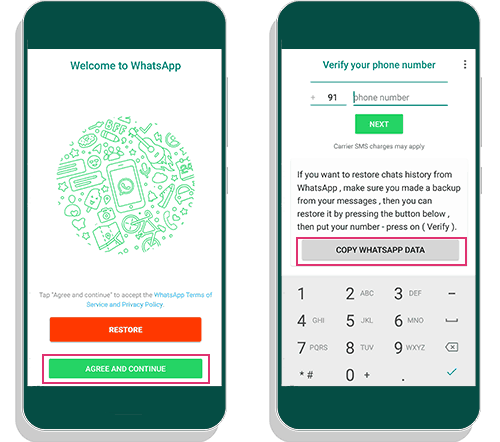 Even, many of the official whatsapp users migrating to fmwhatsapp apk for using these amazing features. We have listed the features in the separate section below. You can read every option that you get from this great android application. In these days, WhatsApp has a huge fan base, and it is popularly known as light and secure instant messaging platform. But, something is missing in this application. Those are features that are badly needed by customers or users. However, WhatsApp Mods are coming into a picture by various developers. In this list, a majority of the people using GBWhatsApp, YoWhatsApp and FMWhatsApp to customise their application. 3 How to Install FMWhatsApp without losing Chats? 3.1 How to Take a Backup? 3.2 How to Install FMWA? A perfect modified app for Android users which is actually based on YOWhatsApp by Yousef Al Basha. Yes, you heard it right. It was completely based on well-known YoWA. Even, you can enjoy all the features in this FMWA whatever included in the YoWa. Meanwhile, you could get some extra love from the developer in the form of exclusive options. I forget to mention that it was made by Fouad Mokdad. He is currently contributing to FouadWhatsApp and Fouad Keyboard. Feel free contact him on his Instagram page. Hey! Download section is below. Just scroll a bit down. FMWA comes with the two variants as per the user requirement. We have given both the download links of FMWhatsAPP APK which are emoji variant and NO-Emoji Variant. 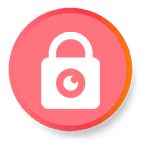 Emoji Variant – Comes with the Different Emoji packs such as Stock, Facebook, Emoji one v3, Android O and Old Stock Emoji Design. Do you want these emoji’s? If yes, then download emoji variant but its size is a little high. And you have another option which is mentioned below. 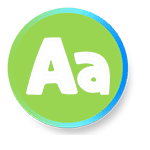 No Emoji Variant – It is a light-weight app comes with less APK size than above one. If you want to use light-weight and don’t want any emoji packs, then this is the best one for you. Now, coming to the features of one of the best android application. Are you really excited about it? If yes, then read all these to know briefly about the FMWhatsApp Android APK. 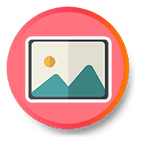 Well, Here we will discuss some exclusive features of the FMWA Android application. Please spare some time to read. In our list, we have given priority to the privacy control over FM Whatsapp android application. Yes, it is the foremost thing we need to see when we want to try this kind of mods. We have vast priority control in this FMWA APK. See below. Anti Revoke – Sender cannot delete messages for you. Freeze Last Seen – Once you enable this option your contacts won’t see your precise seen. And need to restart the app to make the changes. 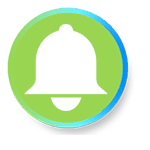 Disable Forward Tag – Opposite person won’t see the forward tag in the message if you forwarded the message. Hide view Status – See the status of others without telling them. Anti-Delete status – they cannot delete status for you. Show blue ticks after you reply – opposite will only see the blue ticks once you replied to their messages. Hide Blue Ticks, Second tick, Bue Microphone, typing and recording for contacts and groups. And partial setting will be applied to the broadcasts. Since it is completely based on YoWa, it has YoThems section, and all YoThemes are fully compatible with this FMWhatsApp. 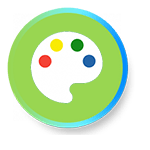 Currently, it has 3500+ WA themes available in its repository. One of the best things is that you can sideload the themes from any other developers. Isn’t cool? Most wanted feature. Right? Even there are many android applications available for hiding the media. But you can use the available option in this app itself easily. Many people don’t want their FM WhatsApp media to be visible publicly. For those, this would be the good one. Some decent fonts that you would get from FMWhatsApp Android APK. As per my opinion, these are enough for those who are using a stock Android device other than custom ROMs or MIUI. Including but not limited to ProductSans, ComicSans, BEBASNEUE, Comfortaa, TRANSFORMERS, HappyGiraffe, Pacifico, and Donut. 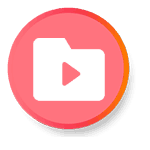 Send any Image or Video after enabling this fantastic media mods. Send more than 10 images at an instant. Backup Complete FMWhatsApp DATA. It will help you to upgrade to new version. Still, many mods are needed to discuss in this section. I hope these will help you choose the right WAMOD for your android device. Emoji Variant (1.3.1) – I have already mentioned under the download section. Please refer that. Languages (1.3.0) – It is supported by Arabic, English, Espanol, Italian, Porteguese, Hindi, German, Turkish, Russian, Indonesian, Marathi, Bhasa Malaysia and Azerbaijani. Launcher Icons (1.3.2) – Choose your favourite icon from various different icons. Conversations cards (1.3.4) – Its let you chat more conveniently. Actually, It makes every chat you opened into a card. So, You can easily switch to any chat via the recents button. Always Online (1.3.6) – It shows you are online to your contacts even you are offline. 5 Minute Status – (1.3.11) – Set video Status up to 5 Minutes. Only FouadMod and YoMods users able to watch this. Password (6.0) – Set Password to the Application with recovery question. Even you can Lock the particular conversation. Hide Chat with Lock- Long press the Conversation and Tap on the 3 Dots menu to enable it. Do you know how to unhide? Just tap on FMWhatsApp Title in the Home and Unlock it to Unhide. How to Install FMWhatsApp without losing Chats? 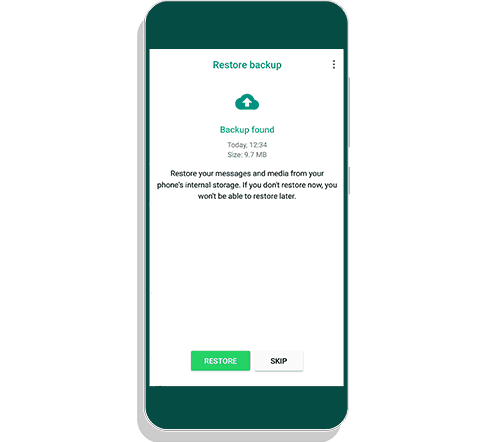 Yes, Here we will provide the method to backup your chats from official WhatsApp and how you can easily restore that file on your FMWA. So that you can able to read the conversation history. Note: Don’t Uninstall the Official WhatsApp without taking backup. Step 1. Open Official WhatsApp on your Android device. Step 2. Navigate to the setting from the menu. Step 3. Head over to the Chat section and select Chats Backup. Step 4. Now, Tap on the Green BACKUP Button. It will store your conversation history on the internal storage of your device. We have completed the major part with the above steps. Are you new to installing non-playstore apps from the unknown sources? If yes, then you have to enable allow from this source option or allow unknown sources. Step 2. Tap on the FMWhatsApp APK and Allow Sources if it is asking. Step 3. Install it on your device successfully. Step 4. Open the FMWhatsApp from the apps drawer. Tap on ‘Agree and Continue Button’. Step 5. 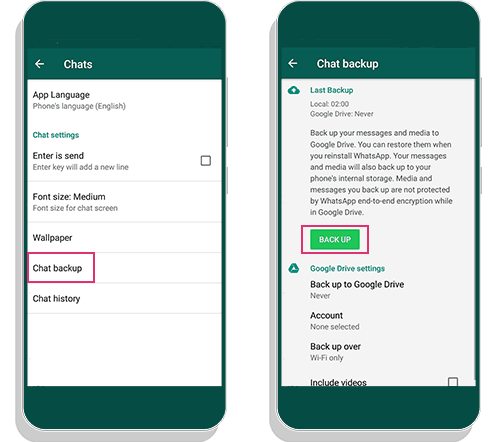 [Important step] tap on Copy WhatsApp Data Button to restore your chats. Step 6. Enter your number and Verify through OTP. After verification, you will be asked to Restore. Click on Green Restore Button. I hope I have covered all the things including backup and restoring process. I think this is the best and detailed article for FMWhatsApp in the industry. If you still have any doubts regarding the installation procedure or something else, then comment below. We will surely help you in that case as per our knowledge. Keep sharing and supporting us. We will meet you again with the detailed one. Peace Out. Я дал ссылку на скачивание. Пожалуйста, проверьте статью еще раз.